When it comes to nouns in the English language, they can be divided into two groups: those that we call countable, and those that we call uncountable. There are a number of ways to distinguish between the two. To start, let's look at what I believe is the simpler of the two to understand, countable nouns. Most nouns are countable, which means that as the name suggests, they can be counted. This means that we can say there are one, two, or however many of them. For example, we can say "one cat" or "two cats". Since these nouns can be counted, they can have both a singular and a plural form. Usually in English, the plural form is made by adding -s to the end of the noun. Of course, there are many exceptions to this rule. Since countable nouns can have both singular and plural forms, they can also be used with verbs that are conjugated in both the singular and plural forms. This is one orange cat. For example, we can say both "there is one cat in the house" and "there are two cats in the house". In addition to using numbers, we can say "there is a cat in the house" or "there are some cats in the house," with some being used exclusively with the plural of countable nouns. When there are a lot of a countable noun, you have to use many and never use much. For example, "there are many cats in this house" instead of "there are much cats in this house". You can also say "there are a lot of cats in this house". Can be used with both singular and plural verb conjugations. Can use a/an in singular. Can use some in plural. When you talk about uncountable nouns, things get a little bit more difficult. Uncountable nouns cannot be counted. Uncountable nouns usually include things like liquids, gases, and powders. For example, water, air, and sugar. Since they can't be counted, you cannot have two, three, etc., of uncountable nouns. They also don't have plural forms, which means that you cannot use plural verb conjugations with them. For example, we can say "there is air in the room" but never "there are air in the room". 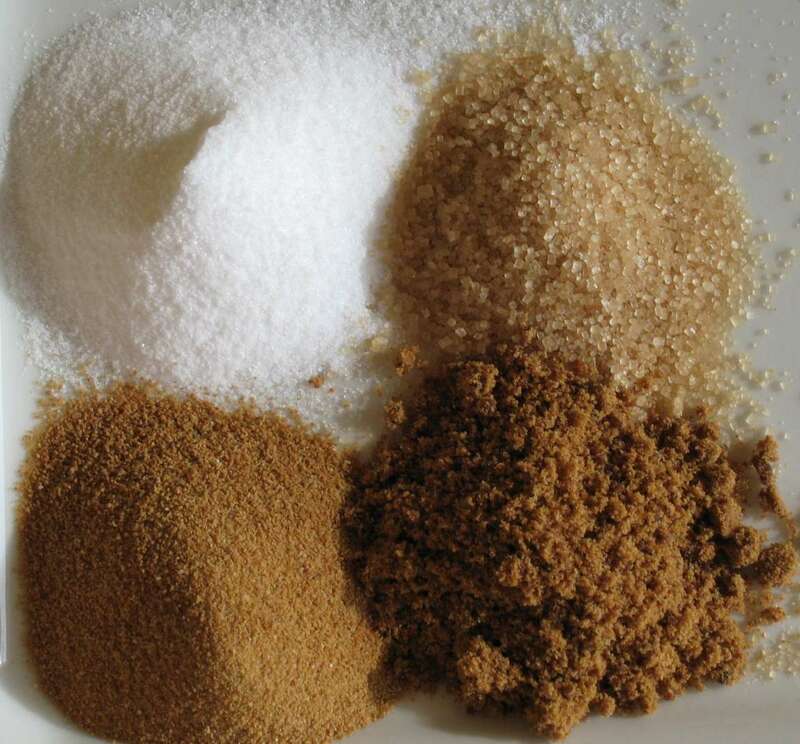 Here is some sugar or four types of sugar. You also can't use a or an as an article with uncountable nouns. This means you can't say "I would like a sugar". Instead, you have to say "I would like some sugar". You can never use many with uncountable nouns. However, you can use much, but only when using the negative. For example, "there isn't much sugar in this tea". When using the positive, you have to say "there is a lot of sugar in this tea." Always paired with singular verb conjugations. Always use some rather than a/an. Use much in the negative. Use a lot of or lots of in the positive. Uncountable nouns can always be made countable by adding a countable noun. For example, water is uncountable but a bottle of water is countable, since bottle is countable. Have any lingering questions about countable or uncountable nouns? We'll be happy to answer them in the comments below!